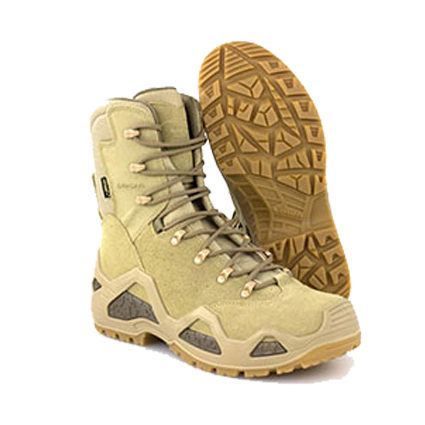 Whether you’re hiking, patrolling or out in the field, a decent pair of boots is absolutely essential. You’ve heard of trench foot, crumpet foot, foot fungus, blisters the size of an egg and ingrown toenails that would turn the stomach of even the most hardened grunt. 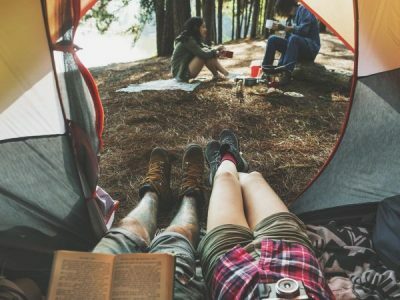 The point is, having the right pair of boots can significantly decrease the likelihood of having to deal with some of these downright disgusting and plainly annoying, festering foot issues. Furthermore, in the military especially, and for hikers too, your feet are arguably your most valuable asset. We know everyone says it’s your brain, but your noggin isn’t going to drag your sorry arse away from oncoming fire or a brown snake with hell in its eyes. You need your feet to be in ship shape to keep you safe and on the move. Here are a couple of the best tactical boots on the market that will do just that. NSN Danner TFX G3 8″ Boot. 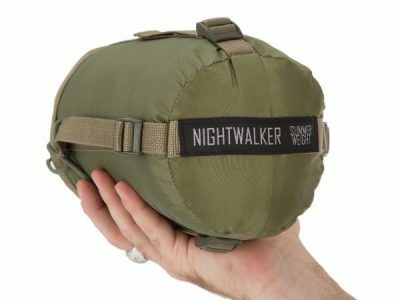 After something that provides stability, yet is designed for speed? Many civilian boot designers don’t understand that we need to be quick on our feet, but also have enough stability to support all the gear we are carrying. As one of two ADF issued combat boots, the NSN Danner is exactly the lightweight yet strong combat boot you are looking for. These boots feature a cross-stitch design which provides added durability and stability, as well as a breathable, moisture-wicking mesh lining. They’re lightweight, durable and comfortable. As well as meeting AR 670-1 requirements for optional wear, the Danner’s slip-resistant technology makes them excellent for tropical and wet-climate wear. 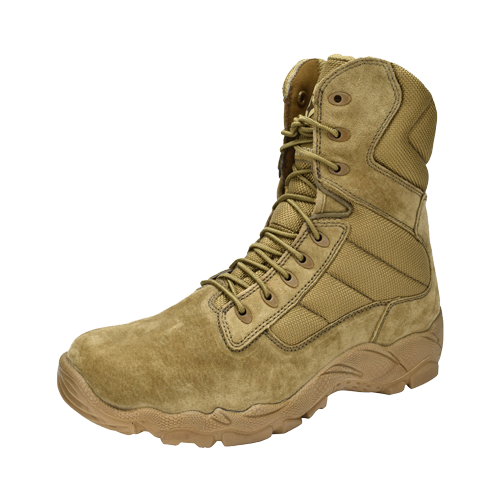 Merrell Moab 28” Tactical Waterproof Boot. If you’re quick to kick off your boots after a long day of walking, you’ll love the zip on these shoes. But don’t worry, they’re still super secure and supportive. The bellows tongue on the upper ankle keeps out those annoying pebbles that wedge their way in, irritating the soles of your feet for miles. The Vibram® TC5+ outsole delivers superior traction on just about any surface, whether you’re climbing boulders or trekking through mud. Finally, they also have zonal arch support and heel cushioning also assist with a snug fit so that you don’t experience any rubbing and blistering. If you’re after a pair of boots that don’t feel like you’re carrying around bricks on your feet but really pack a punch, these are for you! 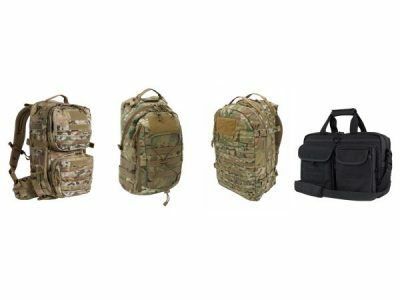 They’re designed for heavy-duty missions, lugging hefty packs and experiencing rough terrain. Yet they’re incredibly lightweight. The GORE-TEX® lining, extra rugged 2.0mm Hydrophobic split leather and Cordura® upper mean that the boots are both waterproof and breathable. They have their own climate control system in the footbed! The Lowa Z8 GTX is also ideal for potentially abrasive activities such as rappelling, as the outsole has a reinforced medial arch area that provides superior protection. The Condor Bailey is a classic, hardy boot that enjoys widespread popularity. They’re lightweight, waterproof and comfortable. The coyote brown nubuck leather gives it a stylish finish too, so you can get away with wearing them for everyday travels as well. The Bailey 8” incorporates a removable insole to support and cushion your feet. 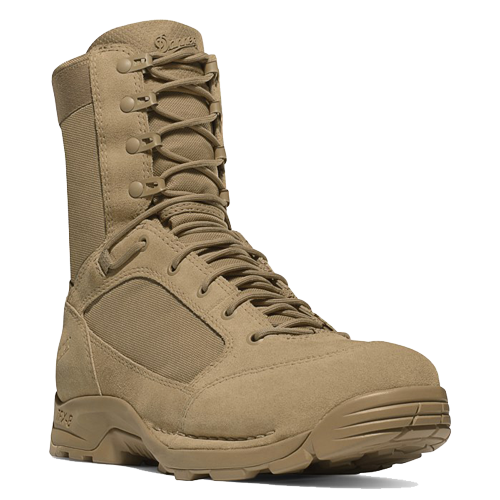 These boots are incredibly durable, yet do not feature any metal components (the eyelets are plastic), making them ideal for security and law enforcement personnel who undergo strict screening procedures daily. Want to check out more of the best tactical boots available? 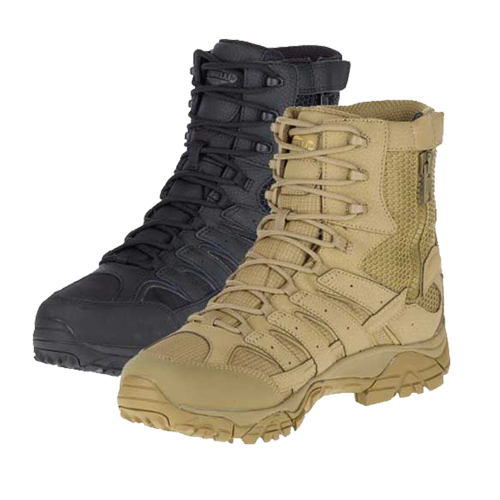 Browse Valhalla Tactical’s range of footwear; perfect for military, law enforcement and hiking! Or contact us today to discuss the best boots for you!